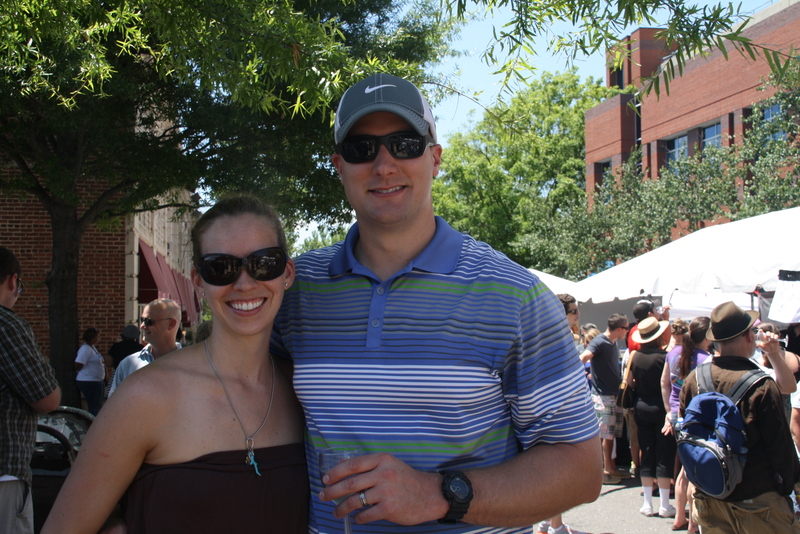 Yesterday was an event I had been anticipating for quite some time – the Salute North Carolina Wine Festival! I love that I live in a state with a growing wine industry and have enjoyed making day trips to nearby vineyards for tastings. 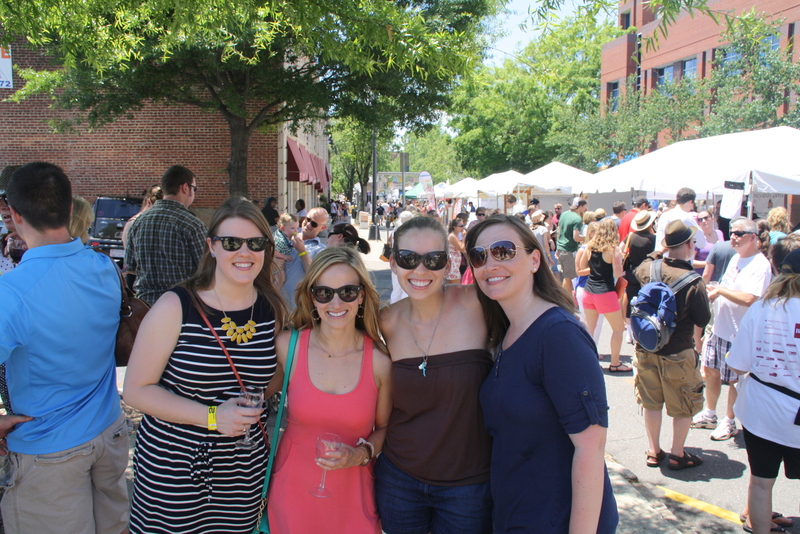 But what could be better than having all of those vineyards come to downtown Winston so you can just walk from booth to booth and sample what our state has to offer? It’s a wino dream come true. 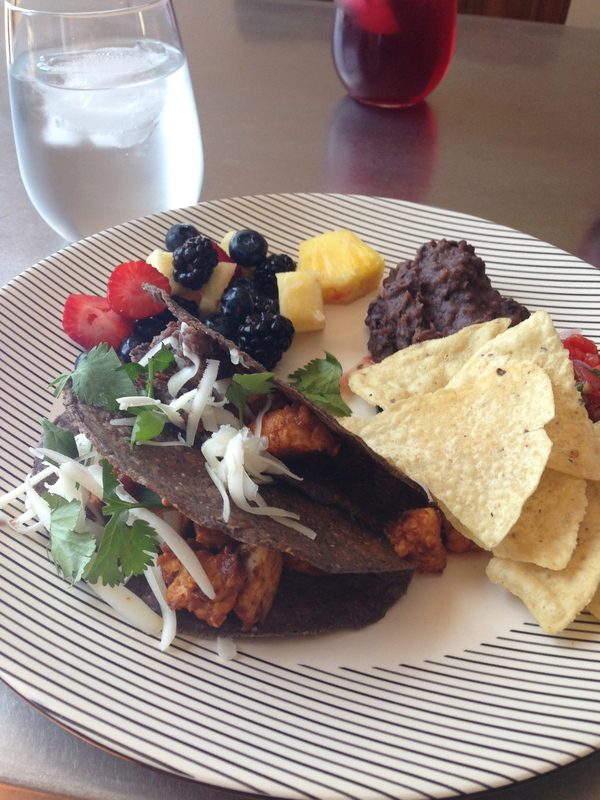 We kicked off the festival day with a yummy chicken taco lunch with Teri and her boyfriend. It is essential to start a day of wine tasting with a full belly! We were joined by two more friends after lunch, and after a little cupcake birthday celebration for Whitney, we headed out to the join the wino masses. There were too many wines to choose from for me to remember specific things about them to review. There were just a few that stood out as highlights that I’d want to track down a bottle and have at home. Some of them came from the more established vineyards that I’ve visited before – Shelton Vineyards is one of my favorite (and they do the very best summer concerts!!) and their Bin 17 Chardonnay stood out among the many glasses I had yesterday as a favorite. It’s a stainless steel Chard and it was nice and crisp – much needed on what turned out to be a VERY hot June day. I probably could have walked away from the tastings with a bottle, found some shade, kicked my sandals off my swollen feet and just called it a day. Two of my other favorites came from a Morgan Ridge Vineyards, a new-to-me vineyard located near Salisbury, NC. They had 2 whites I really enjoyed. Their Seyval Blanc, a wine variety I had never tried before, was crispy and a bit citrusy. Also, very refreshing for a hot day and a nice change of pace from many of the sweeter wines that had hit my palate before we got to their tent. They also had a White Syrah that I really liked. It was a rose wine and a nice surprise to try a Syrah grape in that fashion. I’m not sure if they are sold in any of the grocery stores here in Winston, so I may have to make a little road trip down there to revisit those two bottles! A large majority of North Carolina wines are very sweet, because the muscadine grape is one of more popular grapes grown here. I’m not generally a fan of sweet wines and I know better than to try and sample a whole lot of sweet wines on a hot day (headache waiting to happen), so we were fairly selective in the wines we tried. 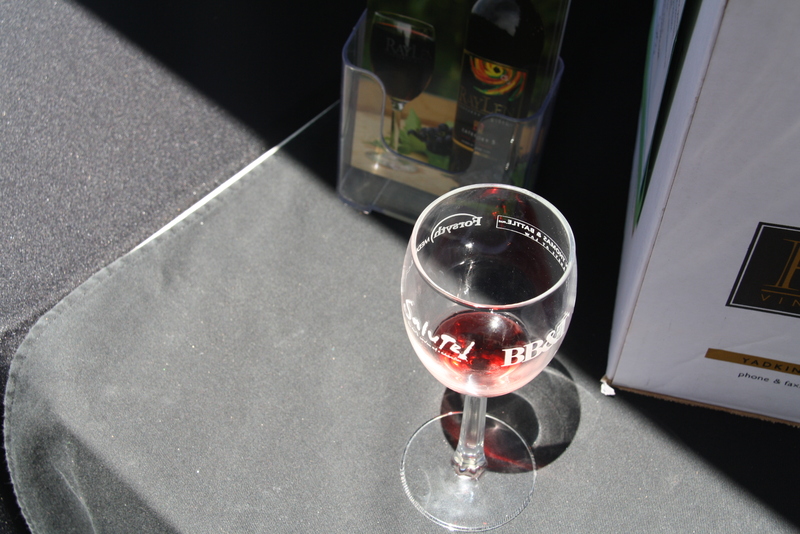 I also noticed a few of my favorite vineyards from years past weren’t present at the festival – Cellar 4201, Round Peak and Raffaldini were all favorites we were looking for and didn’t find. 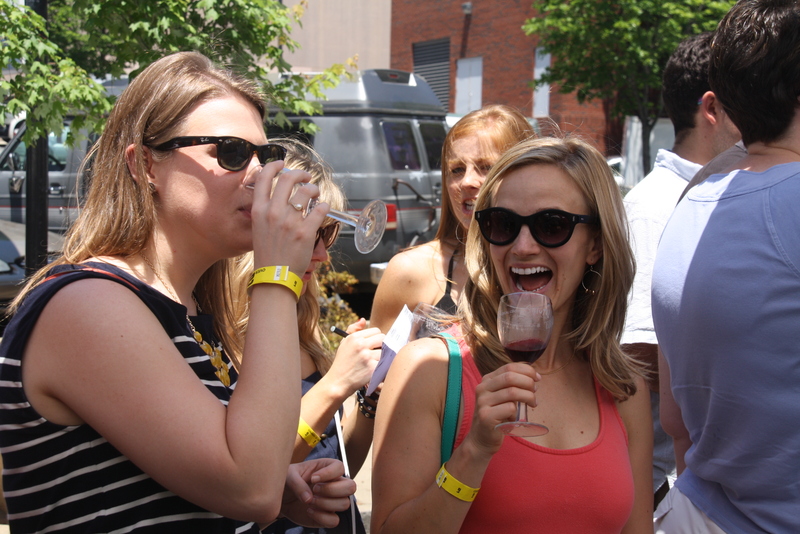 There was another wine festival the weekend prior out at Tanglewood and we speculated that maybe some vineyards had chosen one of the two festivals to attend. Our crew didn’t last too long in the heat and after an hour and a half or so of sampling, I suggested we take the party back into the a/c and there was unanimous agreement to do so. All in all, it was a fun day with friends and a nice reminder that we are fortunate to have some really great vineyards in nearby vicinity. It’s hard to really appreciate the wine in this kind of setting – your palate gets overwhelmed, the wines aren’t especially well temperature controlled and the crowds make it hard for you to really learn much about what you’re drinking. We agreed that the best way to continue the spirit of the wine festival was to make a few road trips to some of the nearby vineyards (especially the dog friendly ones!) and continue our research for the best NC wine.